Reduced petroleum cost and public objection to using corn for bioenergy rather than food have challenged grain ethanol producers to come up with new bioprocess and coproducts that can add value but maintain ethanol cost competitiveness. 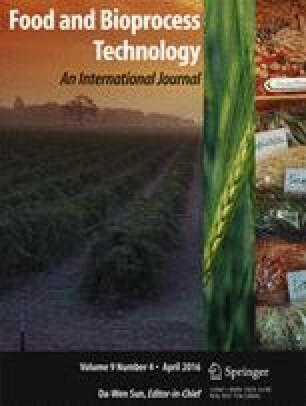 Novel dry and wet milling fractionation processes of corn that could generate higher value coproducts and improve coproduct economics, long-term outlook, and economic stability of corn processing plants have been being recently proposed. Germ Wet Milling™ is such novel aqueous processing method designed to increase germ protein and oil concentration by water soaking and wet fractionation of dry-milled corn germ. The goal of this study was to investigate the sequential oil and protein extraction after Germ Wet Milling and to develop economically viable processes for producing protein concentrates. Corn protein concentrates were prepared after aqueous processing of dry-milled germ using membrane filtration or isoelectric precipitation. The amount of protein recovered was a function of the protein dispersibility index of the starting material, which depended on soak temperature and time. Extracts prepared after Germ Wet Milling™ contained 59.1 to 64.7 % protein (db), while concentrates had 64.9 to 82.4 % protein. The technique used for protein recovery also influenced the mass and protein yield and composition. For all treatments, membrane filtration was a more effective method than isoelectric precipitation for recovering protein from extract. Aqueous enzymatic oil extraction (AEOE) was used to evaluate the oil recovery potential after Germ Wet Milling. The effect of enzyme dosages and/or elimination of the acidic protease on oil extraction from high protein, high protein dispersibility index (PDI) corn germ and high protein, low PDI corn germ were evaluated. AEOE using a combination of cellulases and xylanase (Optimash XL®), an acidic protease (Fermgen®), and a basic protease (Optimase®) resulted in oil recoveries as high as 71.9 % of the initial oil content. A twofold reduction in enzyme dosages was possible with little or no effect on oil recoveries for both types of germ. The authors thank Hans Foerster of DuPont Industrial Biosciences for providing the enzymes used in this work and Troy Lohrmann and Dan Hammes of Quality International Inc. (Elgin, IL) for financial support. Troy Lorhmann, Vice President at Quality Technology International Inc., has commercial interest in the Germ Wet Milling™ process and portion of the study was funded by Quality Technology International, Inc.